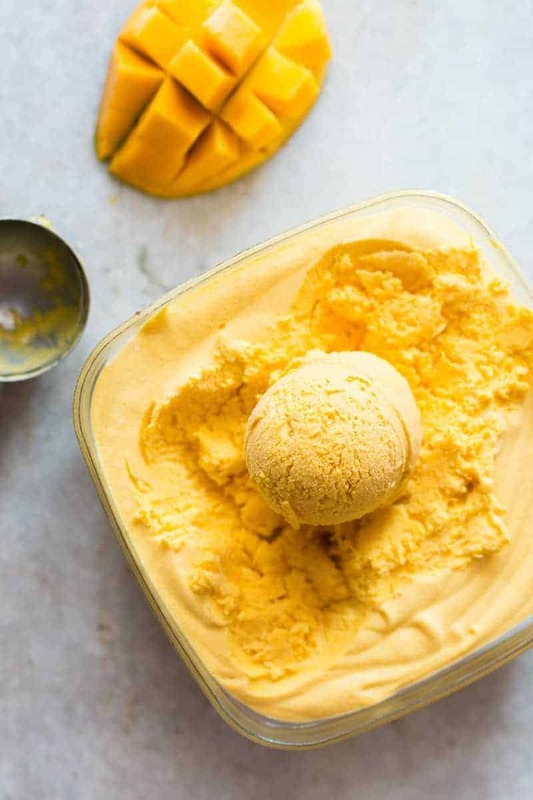 There is no other way to describe this homemade mango cheesecake ice cream except to say – yuuuuuuuuuuuuummm! I know that word is totally overdone in every other food blog on this planet but this ice cream is insanely delicious and uses real cream cheese for that spot on cheesecake flavor. This one was a total accident. I was testing a mango cheesecake recipe (which is delicious BTW) for the KitchenAid blog and ended up with too much cheesecake batter during one of the variations. I really didn’t know what to do with it so I just poured it into a container and dumped it into the freezer. Can you believe that I completely forgot about this for like two whole days? The next time I opened the freezer to put something else, I realised that this was still there. I was skeptical about how it’d taste but OMG that creamy, tangy cream cheese and mango flavor is just spot on! And this isn’t even a real ice cream recipe or anything like my other no churn ice creams. It doesn’t have condensed milk or a load of sugar. Most of the sweetness comes from the mango and the lightness from the heavy cream and you can never go wrong with cream cheese right? Especially Philadephia cream cheese, but I’ve used Britannia cream cheese as well and it totally works! I obviously couldn’t finish all of this alone so took some over to our friends down the road and man! they wiped it clean. I was like successsssssss. And without even trying. Most times I labour over a recipe for at least a few days making sure to get it absolutely right, but this one was just a happy accident and I love it when that happens! I also think my KitchenAid Stand Mixer seriously helped with this one, because all that whipping by hand may give me some major muscle power but sometimes when you are tired, the stand mixer can be a real real lifesaver! 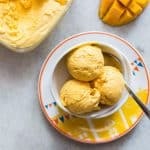 You can absolutely use the same filling to make some mango cheesecake in a jar but try freezing it first. This ones almost like an invention because if I was making this purposely, I would’ve just followed the cream and condensed milk method that I’ve used in my Lychee Ice Cream before. I’m totally planning a third round when Denver comes back because ice cream for dinner can be a real thing you know! And he’s on the regular recipe tester payroll so I can’t deprive him of all this goodness! If you try this out, be sure to tag your pictures @my_foodstory on Instagram because I really love seeing your creations! And don’t forget to follow me on Pinterest for some daily recipe inspiration. 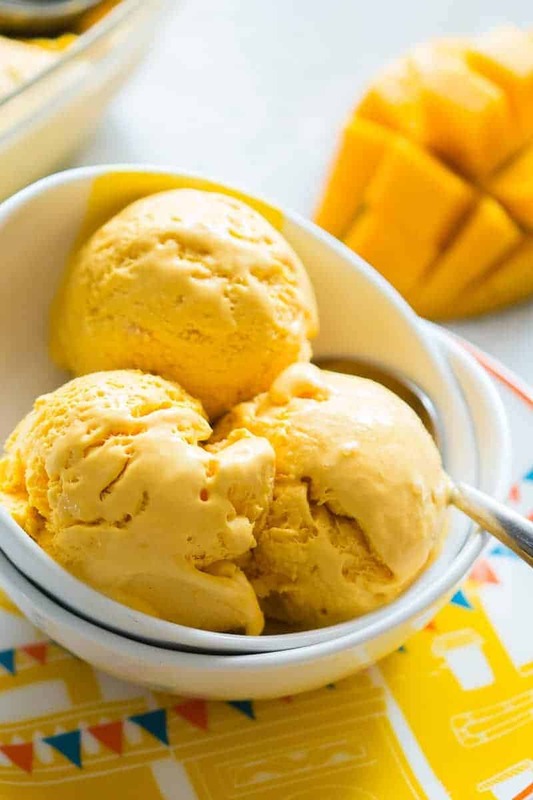 This homemade mango cheesecake ice cream is the best ice cream I’ve made at home so far. 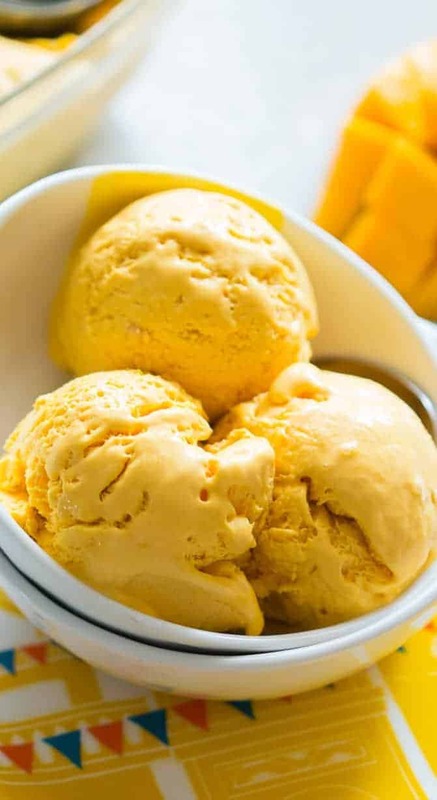 It’s perfectly creamy, slightly tangy and so so smooth. And the cheesecake flavor is spot on! In the bowl of a stand mixer or with a hand mixer, whip the heavy cream till soft peaks form. 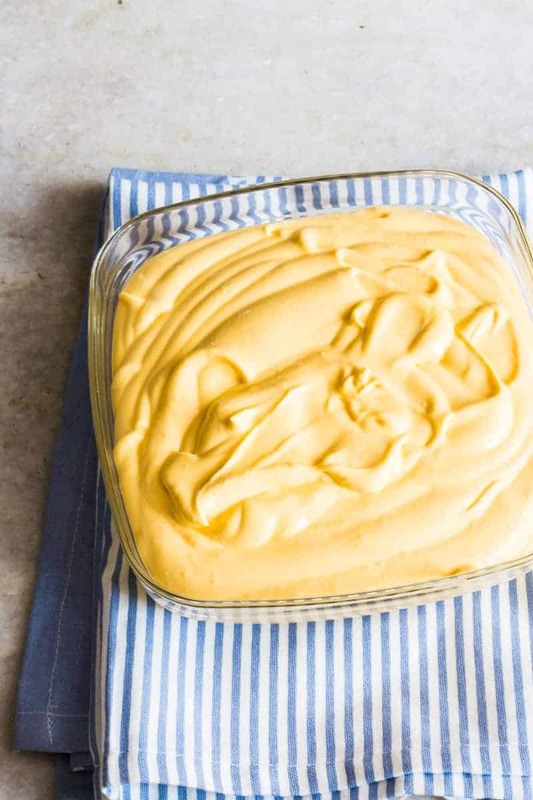 Add the mango puree, cream cheese (I’ve used both Philadelphia Cream Cheese as well as Britannia and they work), caster sugar and vanilla extract and whip again till everything is combined and the mixture is light and fluffy. Pour into a freezer friendly container and freeze overnight. 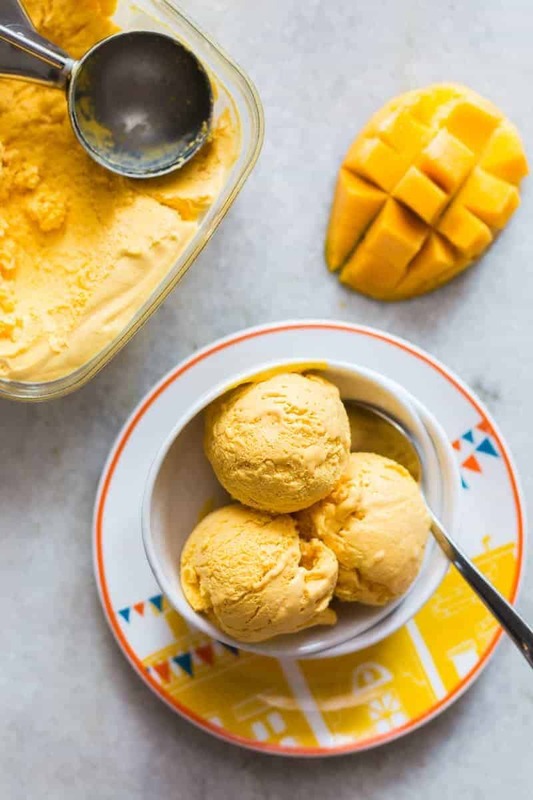 Let the mango cheesecake ice cream sit at room temperature for 5-10 minutes before scooping and serving. Hv not made yet !